Take stock, wait till you’ve got your shopping list, and become a master deal seeker to stretch your school supplies budget as far as it can go! It’s that time of year that so many kids dread: back to school! And while it can be nice to get your kids out of the house and back to the classroom, your wallet might be feeling a similar sense of dread. There are so many school supplies you’ll need to buy! Depending on your budget, you might even have to take out a personal loan to afford everything. Or worse: You might have to take out a series of high-interest no credit check loans like payday loans or cash advances. You’ll do anything for your kids after all, and you don’t want them your kids falling behind just because they don’t have the right kinds of pencils. Wait—do they still need a certain kind of pencil? Do they even need pencils at all anymore? Can you just get all of your back to school shopping done on the app store? No, you can not. But fear not! For we spoke to the experts to find out how you can stock up on school supplies without depleting your bank account. Look at what you’ve already got. Slow down! Don’t hit the store just yet. First, you should take stock of what you already have. Katie Ross, Education and Development Manager at American Consumer Credit Counseling (@TalkCentsBlog) offered similar advice: “Shop your closet. Before you start your back-to-school shopping, make a list of inventory and supplies you already own and might be able to reuse for the new school year. Wait for the list, then plan. Although it might be tempting to get your back to school shopping out of the way as early as possible, you don’t want to accidentally buy something your children don’t actually need. Become a master deal seeker. Once you know exactly what you’ll have to buy, it’s time to become a student yourself … A student of deals, that is! And you can do some of the shopping without ever leaving your house! Be discerning about where you spend a little more money. Kids don’t always understand how money works, so you may need to explain to them that they can’t always get that when it comes to back to school shopping. But there is one item you may want to consider putting a little more money into. Do you hear that? It’s the sound of the school bus pulling up! Thankfully the kids have everything they need, and your wallet wasn’t hit too hard! 4 Simple Ways to Save Money on Your Grocery Bill—While Still Eating Healthy! What are your best tips for saving money on school supplies? We want to hear from you! You can find us on Facebook and Twitter. Ashley Agnew creates value in investment management by helping clients have a better relationship with their wealth. At Centerpoint Advisors (@Centerpoint_Now), she facilitates financial coaching programs providing emotional and educational preparation for the next generations. These include financial coaching and literacy seminars, college savings and retirement product research, and family round-table facilitation and moderation. She holds her B.S. in Marketing with a minor in communications writing from the University of Massachusetts as well as an MBA in global finance from Bryant University. 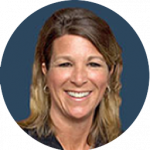 In addition to her work at Centerpoint, she is also the Marketing Chair on the Board of Directors for XPX New England, an organization focused on business growth and transfer. Robyn is a mother and someone who feels passionately about helping people with their finances. She has taken her personal experience, advice she was given, things she has learned on her own and in her MBA studies and tries to share what she feels is important financially on her blog, A Dime Saved (@adimesaved). Katie Ross, joined the American Consumer Credit Counseling, or ACCC (@TalkCentsBlog), management team in 2002 and is currently responsible for organizing and implementing high-performance development initiatives designed to increase consumer financial awareness. Ms. Ross’s main focus is to conceptualize the creative strategic programming for ACCC’s client base and national base to ensure a maximum level of educational programs that support and cultivate ACCC’s organization.